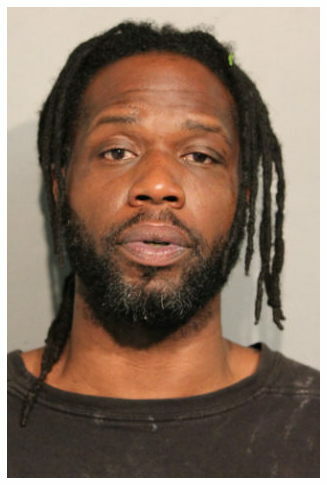 Tony Vann is charged with robbing and beating a disabled man with a traffic cone near the Howard CTA terminal. Two would-be robbery victims were slashed by an assailant in Rogers Park last week and another robber allegedly beat a severely disabled man with a traffic cone in the neighborhood. Charges have been filed against both men. Around 3:20 p.m. last Wednesday, a 56-year-old man described by prosecutors as “severely mentally disabled” was walking from the Howard Red Line station when he was attacked by a man who wielded an orange traffic cone, police said. Tony Vann, 19, of Rogers Park continued beating the man in the face and upper body with the cone at 1652 West Howard, according to charges. When the victim dropped his cellphone, Vann picked it up and fled, prosecutors said. Cops located Vann nearby and placed him into custody. He is charged with felony robbery and Class X felony aggravated battery of a permanently disabled victim. Judge Sophia Atcherson set Vann’s bail at $200,000. Two people suffered deep cuts in separate robbery attempts at the hands of Robert K. Leveston on July 18th, according to prosecutors. Around 8:25 p.m., a 23-year-old man was preparing to enter his back gate in the 1600 block of West Pratt when Leveston approached him from behind and put a knife to his throat, police said. The victim fought back and suffered a deep cut to his right forearm and a laceration to his chest, according to police. Leveston, 39, allegedly fled the scene. The 48-year-old woman fought back and Leveston slashed her left hand before running away, police said. Officers located Leveston in the 6600 block of North Clark Street and both victims identified him as their attacker, according to court records. Cops said he was carrying a knife that matched the description given by the victims. The male victim received stitches in his forearm and the female victim received several stitches in her hand, according to police. Leveston is charged with two counts of attempted armed robbery with a dangerous weapon and two counts of aggravated battery with a dangerous weapon. Bail was set at $500,000 by Judge Marvin Luckman.